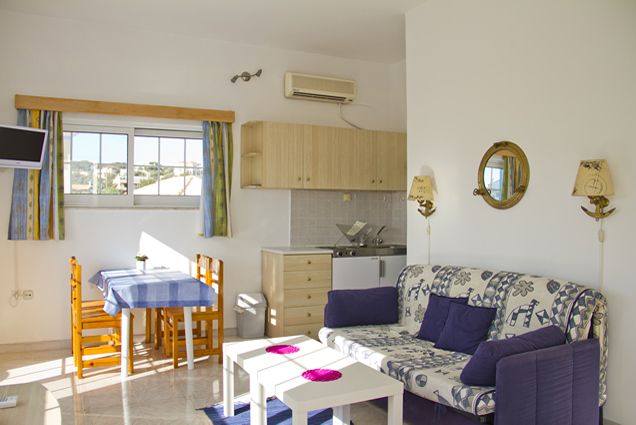 Blue Dolphin: affordable accommodation on a excellent location! 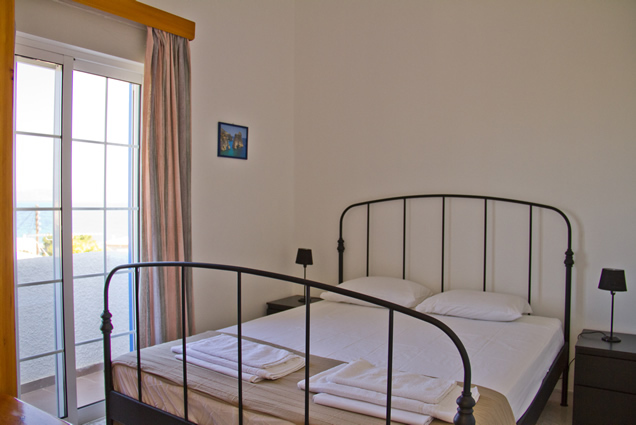 If you are looking for a relaxing holiday on a Greek island, a stay at the Blue Dolphin on Aegina island is highly recommended. 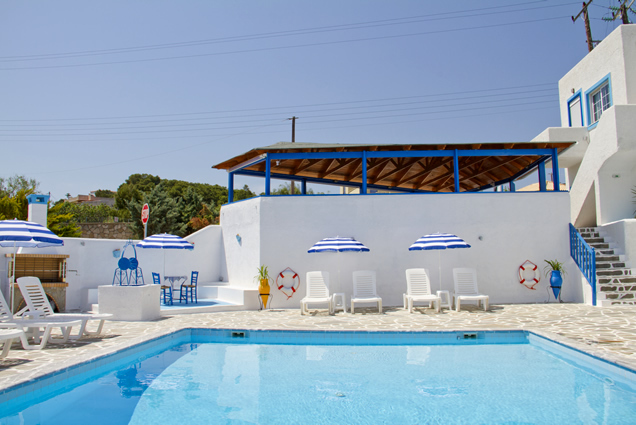 You can find The Blue Dolphin studios & apartment just outside the village of Vagia. 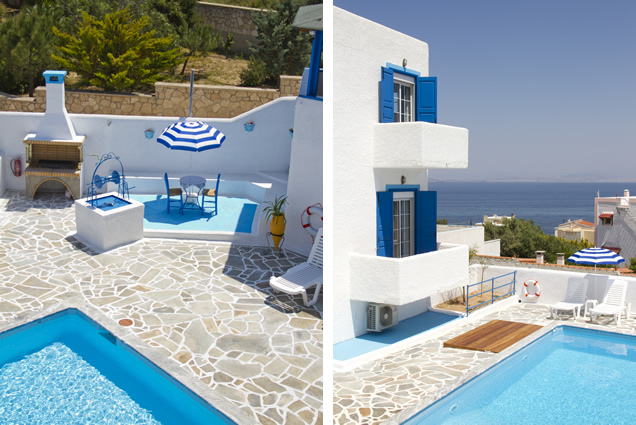 This small complex has 6 studios & 1 apartment and has its own swimming pool surrounded with sunbeds and umbrellas. 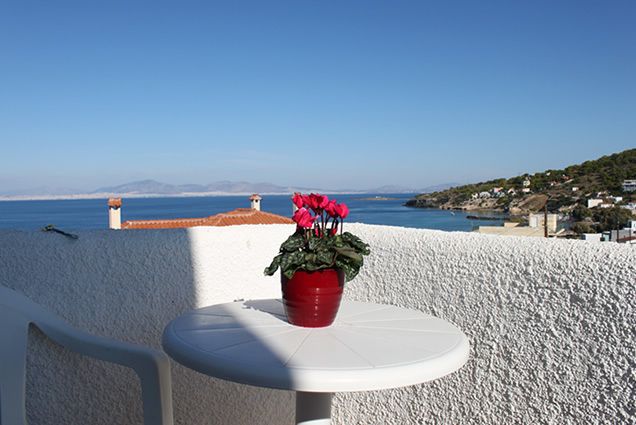 From your studio you have a panoramic view that includes blue seas framed by mountains with Athens and the surroundings of Attica in the distance. At the snack bar you can get refreshments, small snacks, light meals & salads or play a game of chess or backgammon at the terrace.The sandy Vagia beach is a short walk away and it is only 70 metres to a smal little beach. 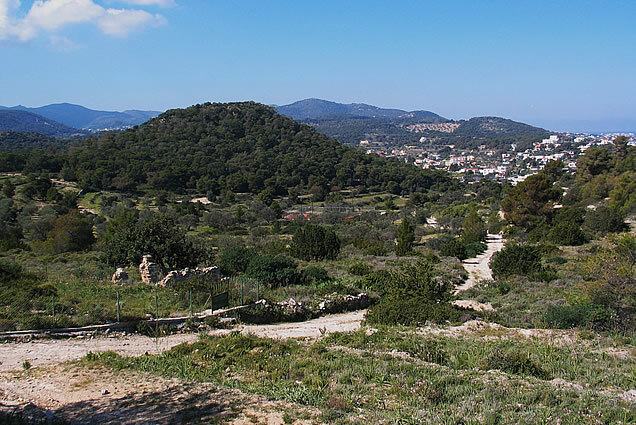 This quiet beautiful corner of the island is largely covered with pine-forested hills. 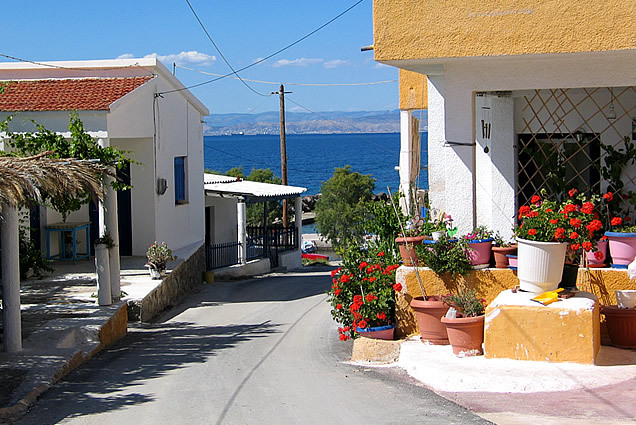 Vagia village is small, has a lovely sandy beach and small harbour. 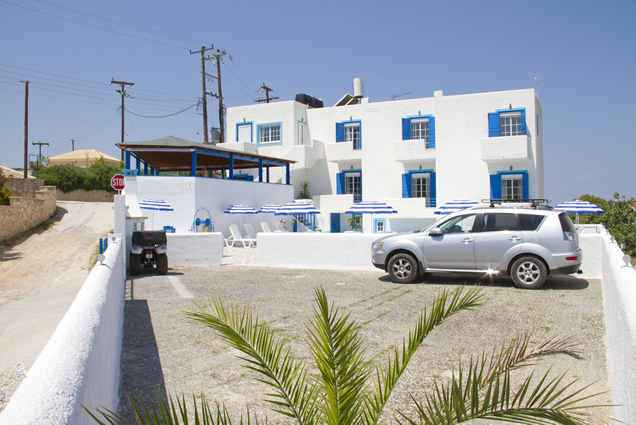 The local bus stops in front of the Blue Dolphin and nearby you will find a several tavernas and the local mini market. The owners Elisabeth Rönnblom & Staffan Palmqvist from Sweden will be welcoming you. 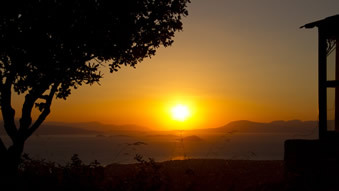 Book a photographic experience on Aegina Island with a professional photographer. 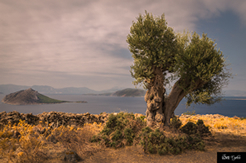 Explore Aegina's history and culture using light and shadow, colour and form in an imaginative way to create stunning photos. Aegina Photo Tours will show you the best vantage points and teach you how to use photographic techniques to capture stunning images of Aegina's landscape, monuments and people. 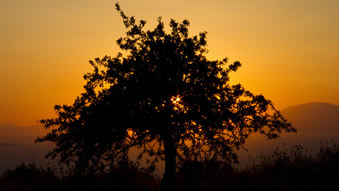 Learn the skills that will prepare you to be ready to take great photos evertime you step out with your camera. 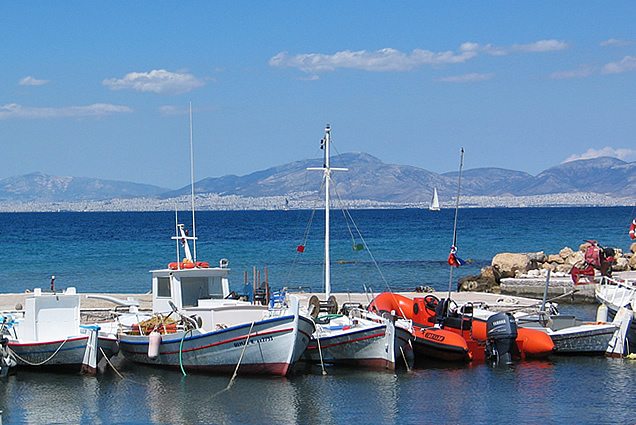 Aegina is a beautiful small island situated just south of Piraeus, the main port of Athens in Greece. Aegina island is triangular in shape, approximately 15 km from east to west and 10 km from north to south, with an area of about 87 km2. 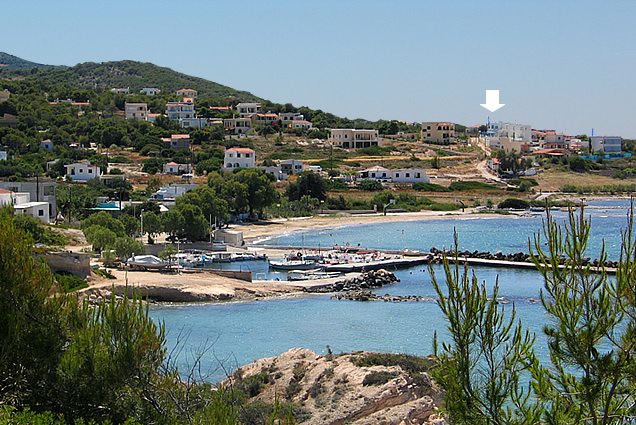 The island is famous for is pistachio nuts "Fistikia". Due to its ideal climate and close distance to the mainland it is lively all year round. Although the island is small, it has all the ingredients for a fantastic holiday. 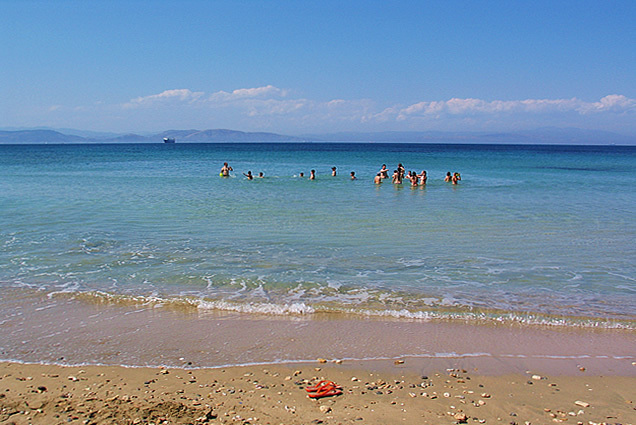 Aegina offers a variety of beaches, ancient sites, museums, fishing & mountain villages, a diverse flora that is set in a fantastic landscape with amazing views towards the neigbouring islands and the mainland from Attica towards the Peloponnese. Beach lovers can enjoy themselves from mid May until mid September. 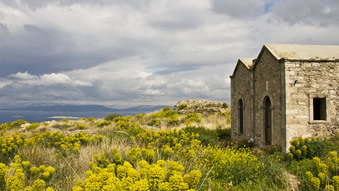 Also spring and autumn are excellent times of the year to visit Aegina. 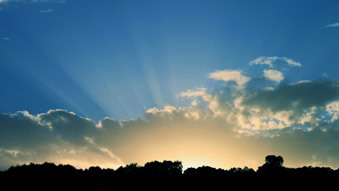 The weather is sunny, warm and energising. 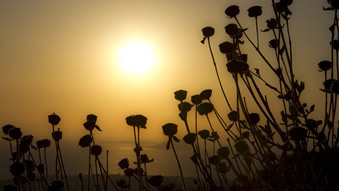 Indeed, Aegina is reputed to have the mildest climate in Greece. Pull on your comfy shoes and explore the natural landscapes. 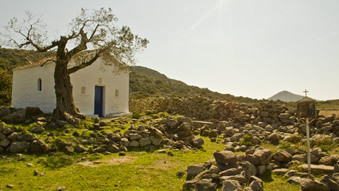 There is some excellent walking to be had on the island; walk on the hillsides around Vagia, Mesagros & Agia Marina, visit ancient abandoned villages on hillsides, walk to the ancient olive groves Eleonas or clamber to the top of Mount Oros with its fantastic panoramic sea views.